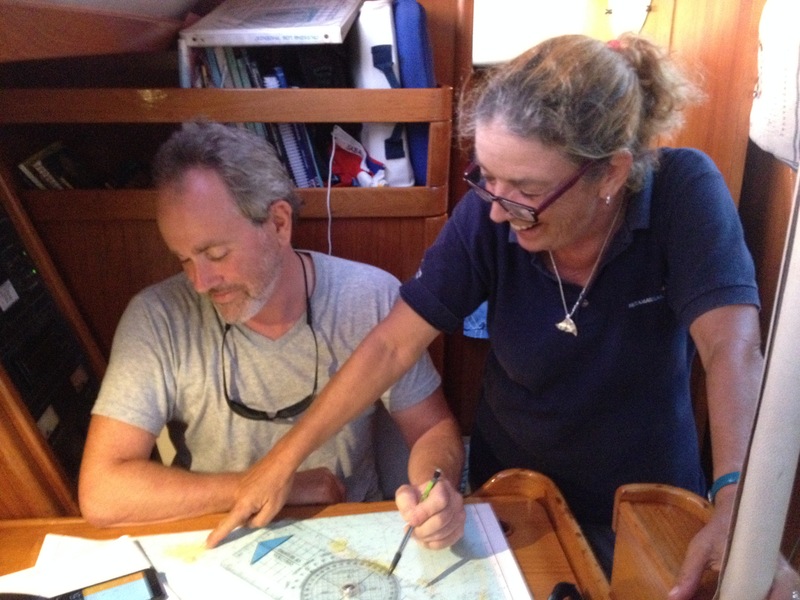 OUR LATEST YACHTMASTERS ARE: August 18th – Phil; Flo; JT & Baris. Congratulations to them all! 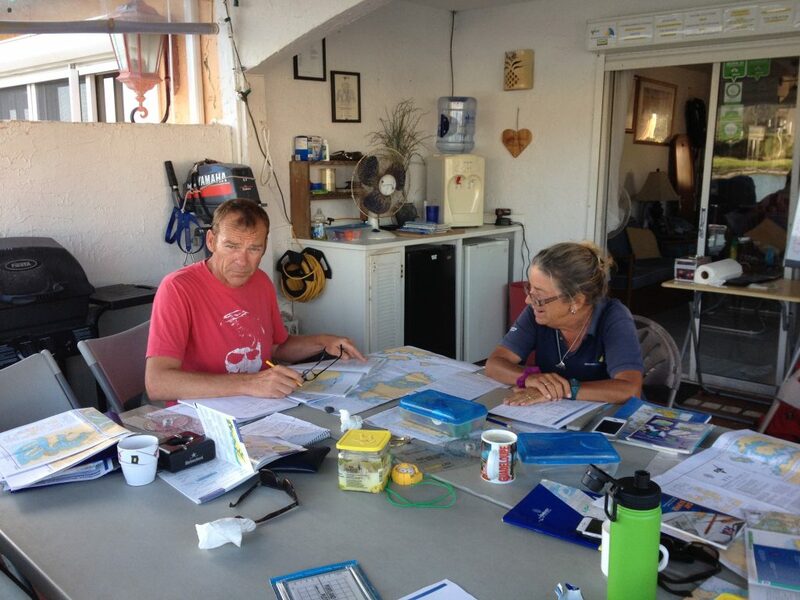 The next Yachtmaster “Xpress” course is currently scheduled for Sunday April 28th, 2019. 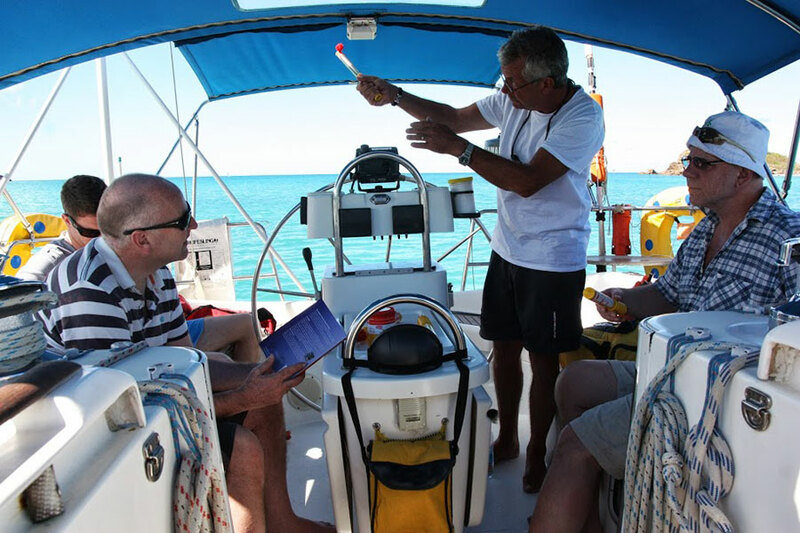 Our Yachtmaster “Xpress” programme is probably one of the most comprehensive fast track courses currently available. 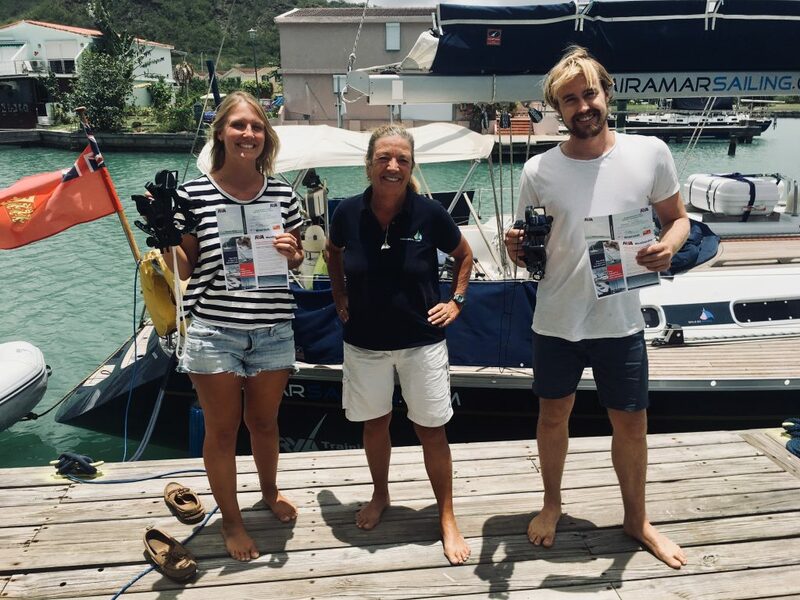 The goal is to train complete novice sailors through the entire RYA Yachtmaster (Sail) Scheme from the basic Competent Crew course to a successful Yachtmaster Offshore Certificate of Competence examination in 16 consecutive weeks. 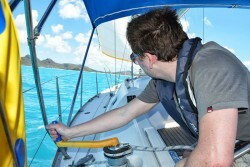 This is an intensive period of learning and skills training, combined with a Caribbean Cruising Adventure. We limit our student intake For the Yachtmaster “Xpress” programme to maximum 4, although occasionally we may add an additional student for the Competent Crew, Day Skipper Practical, both theory courses, and supplementary courses. 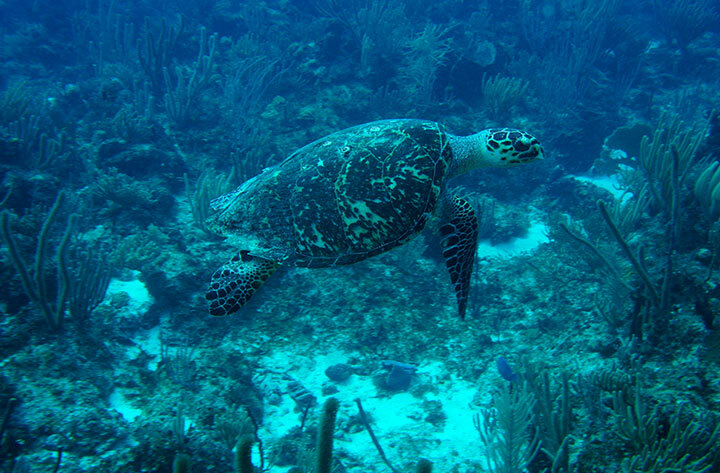 Please see our Caribbean Islands Guide for a taste of how comprehensive your adventure will be. 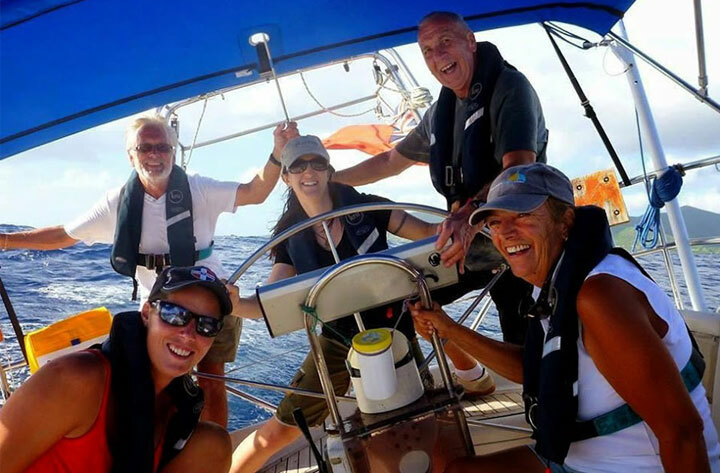 In the first 4 weeks we teach the fundamentals of sailing, boat handling and skippering, plus sailing and navigation theory up to the advanced level of Yachtmaster. 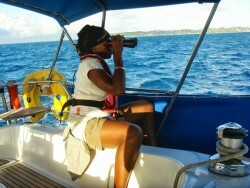 When these 5 weeks are completed your Caribbean Cruising Adventure begins and lasts for 10 more weeks. One of the criteria for Yachtmaster Examination is miles logged. 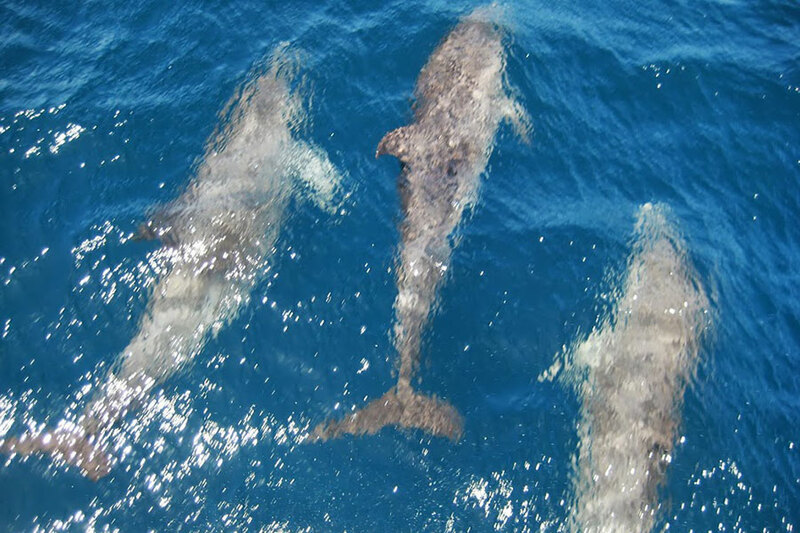 These must be a total of 2,500 nm of which 50% must have been logged in tidal waters. Another criteria are non-stop passages over 60 miles during which the candidate must have been skipper, and some passages must be overnight. 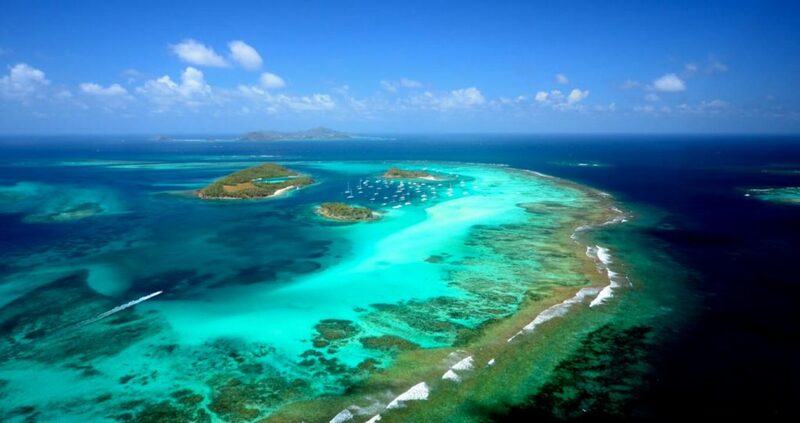 We achieve tidal miles by sailing south from Antigua to the waters of St. Vincent & The Grenadines which the RYA consider tidal. 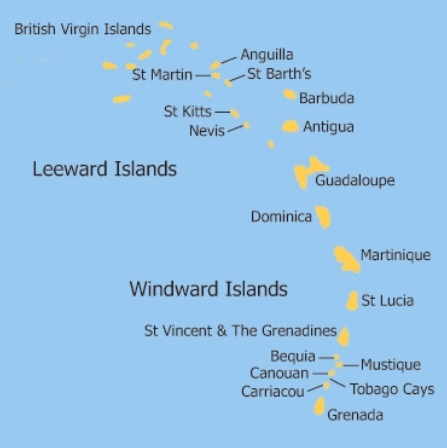 Guadeloupe – Isles des Saintes – Dominica – Martinique – St. Lucia – St. Vincent – Bequia – Mustique – Canouan – Tobago Cays – Carriacou – Union Island – Grenada. 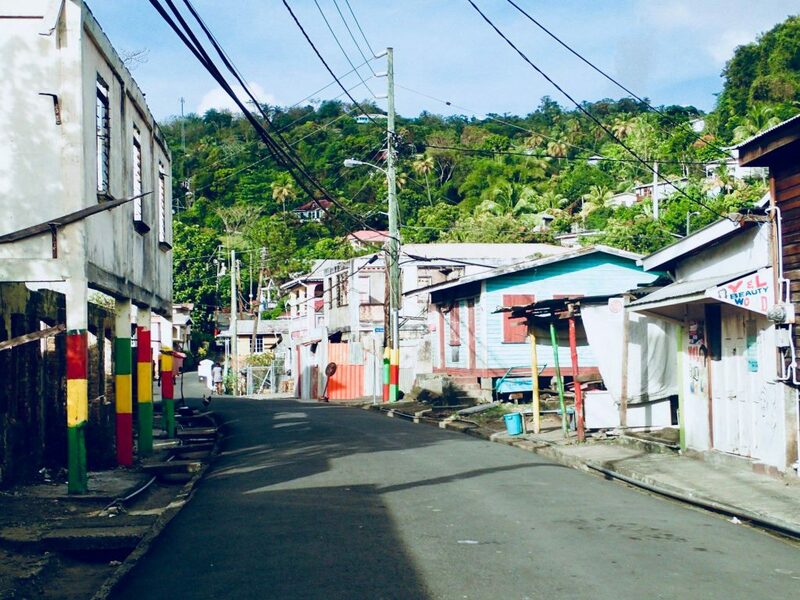 Weather and sea conditions permitting we may also get the opportunity to sail out into the Atlantic Ocean to Barbados, or further south to Tobago. 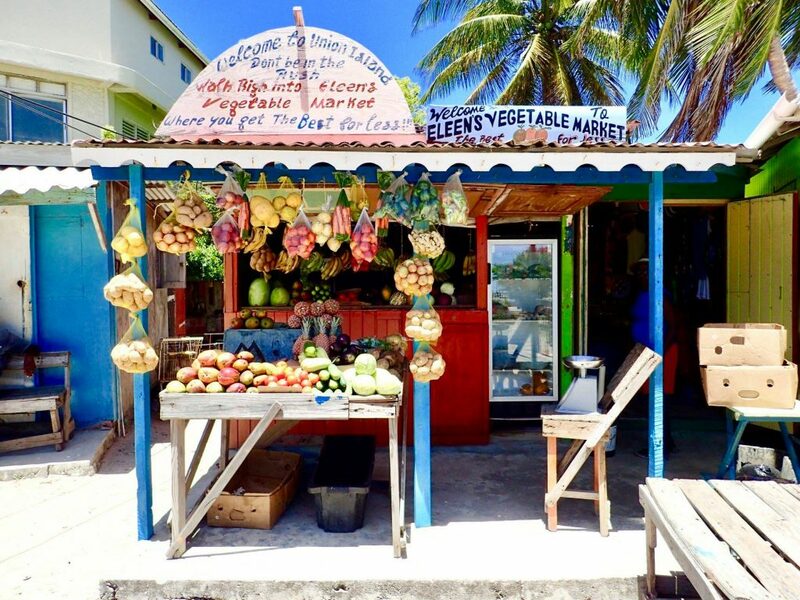 During these 4 weeks we head south and visit several of the islands and bays en route, before heading back to Antigua and stopping off at more of the islands we did not get the opportunity to visit on the way down. 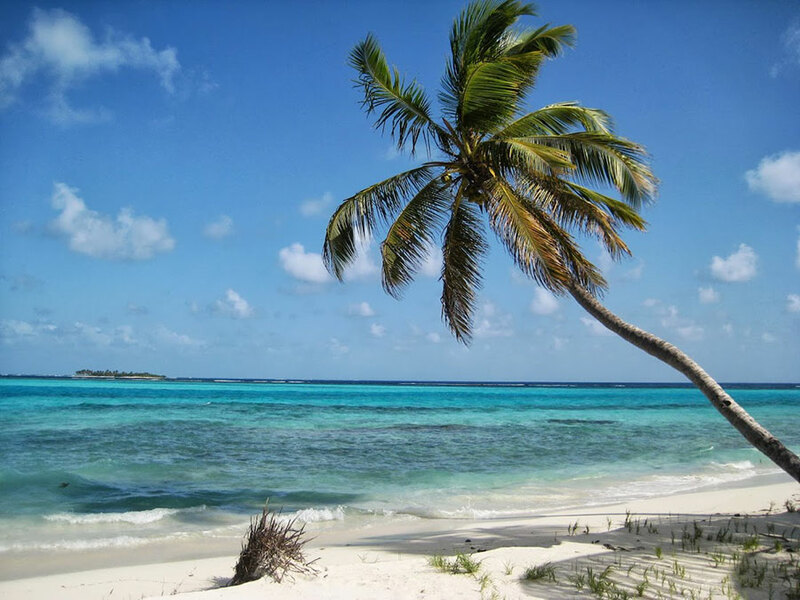 Please see our Caribbean Island Guide link above for a graphic illustration. 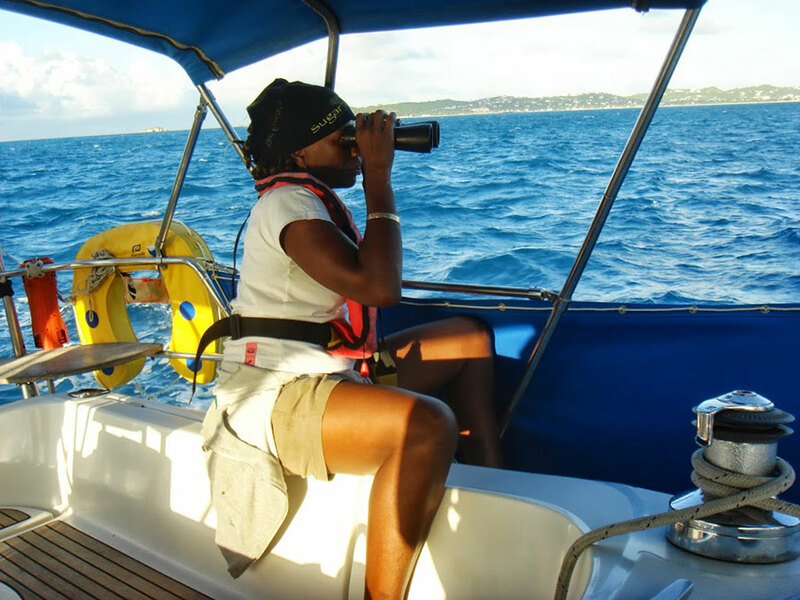 During these 2 weeks we alternate your Yachtmaster Instructor and sail north and cruise to some of our closer neighbours in the Leeward Islands to the north. 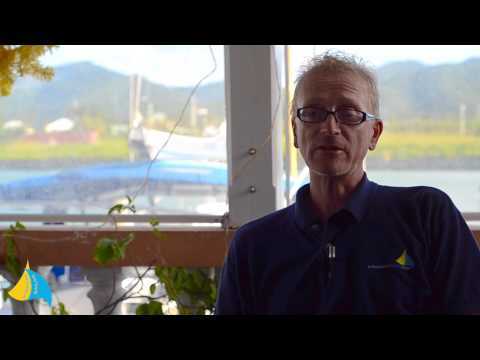 Barbuda – St. Barth’s – St. Maarten – Saba – Statia – Nevis & St Kitts. We change instructors to ensure you get experience, anecdotes and knowledge from 2 different sources. For these 4 weeks we head south again with a change of Yachtmaster Instructor to ensure that the islands and bays missed during the first trip south are visited during this second trip. 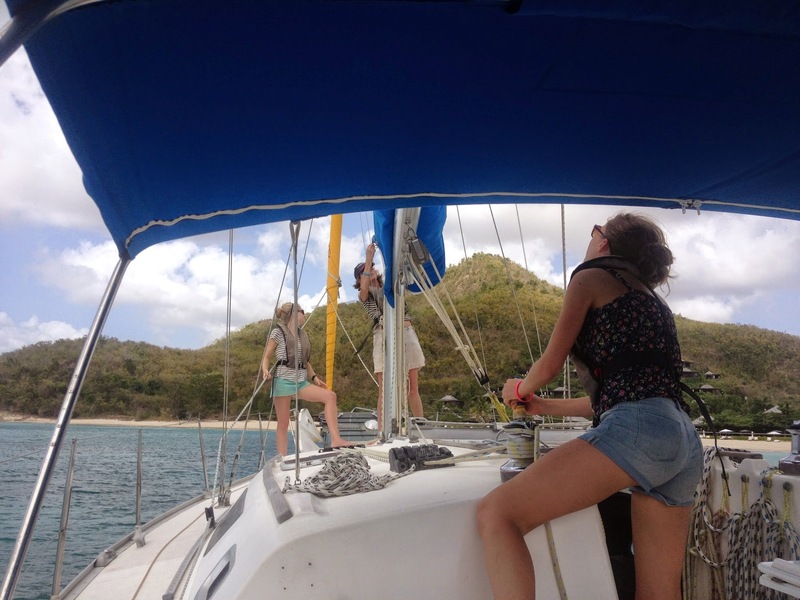 During the above 10 weeks of cruising you will have achieved your Coastal Skipper Practical qualification. 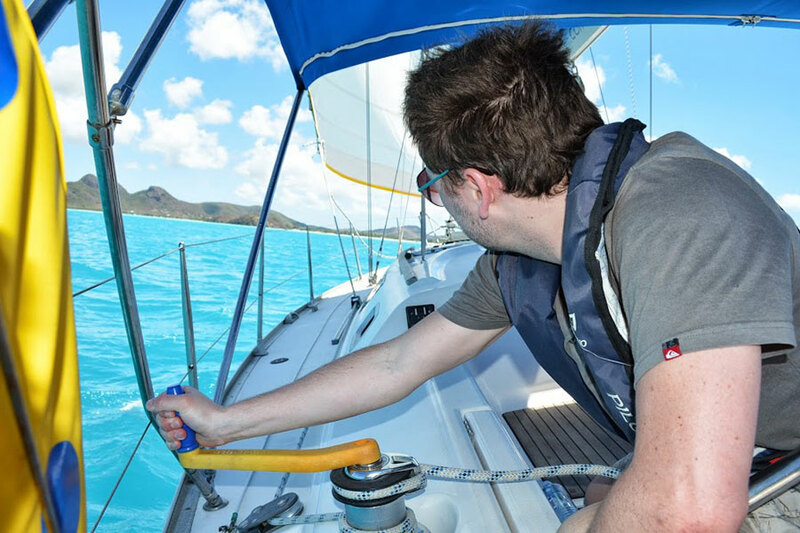 Once you have returned to Antigua for the last time we then go into your Yachtmaster Preparation Week that culminates in your exam. The purpose of the Preparation Week is for our Instructors to assess your strengths and weaknesses and hone the latter. 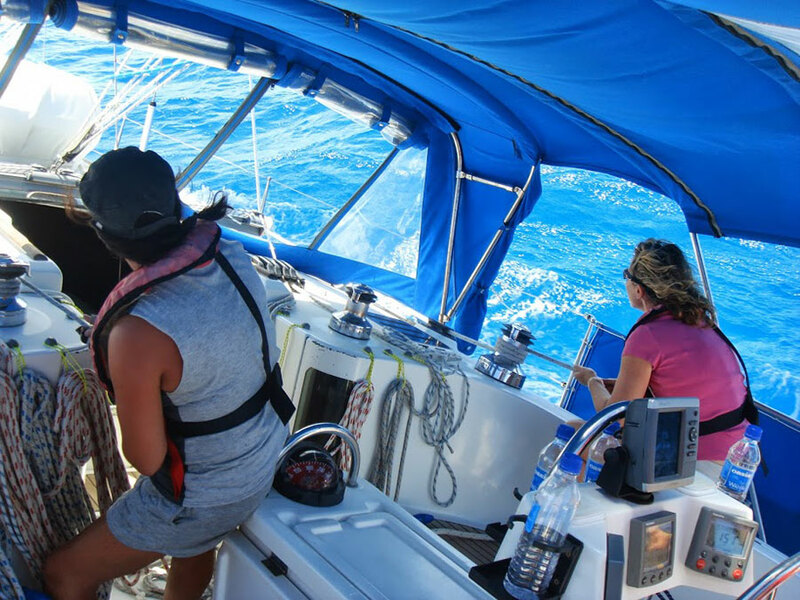 They will also advise on which grade of Yachtmaster you should apply for because if you do not succeed at Offshore, you will not be given Coastal as a consolation prize, and you will have wasted your examination fee. We try to allow 2 days off a week (Fridays and Saturdays) but there may be times when these have to be forsaken. 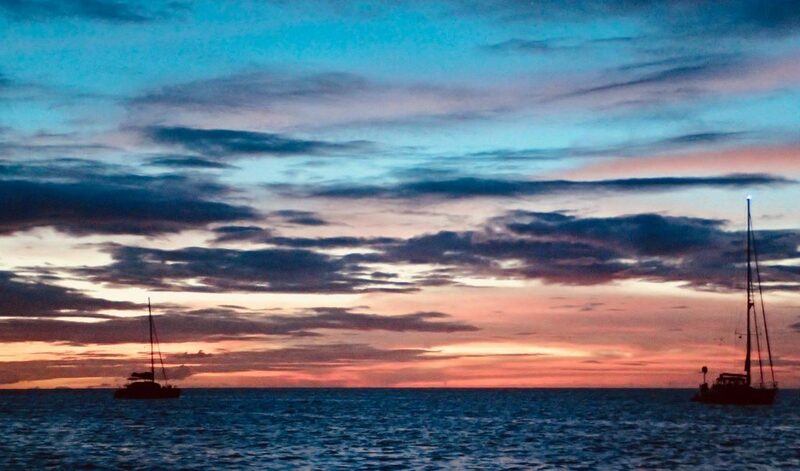 The absolute priority is to log the required miles, so it may be necessary, due to weather and sea conditions, to sail more in order to achieve more!. The Complete Programme Costs US$14,995. This equates to less than US$940 / week. 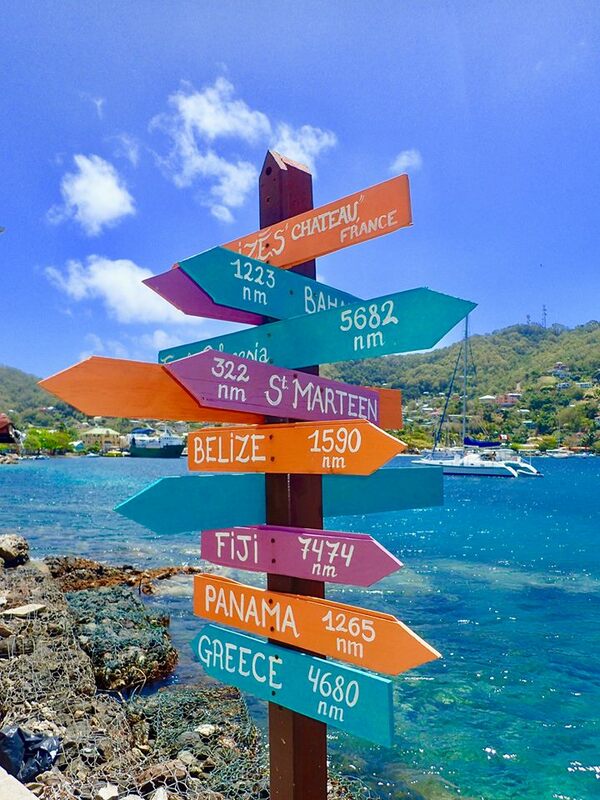 When compared to the cost of a 16 week skippered yacht charter covering the vast majority of the Eastern Caribbean, this is extremely good value. When you add in accommodation, catering, training, certification, the pinnacle of Yachtmaster qualifications, adventure, and all the other inclusions, we think you will find it is incredibly good value!! 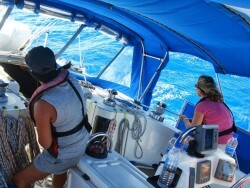 On yacht accommodation at all times from beginning to end of the course. Full catering during all periods of sailing, and light lunch daily during classroom theory courses. Open air, waterfront and covered classroom / student common room, with free WIFI, refrigerator, and views of the Antiguan hillside. Free use of student pool car (when available) for travel within the Jolly Harbour Complex. This allows easy access to the local supermarket and nearby beaches for chilling, swimming, sunbathing and BBQ’s. 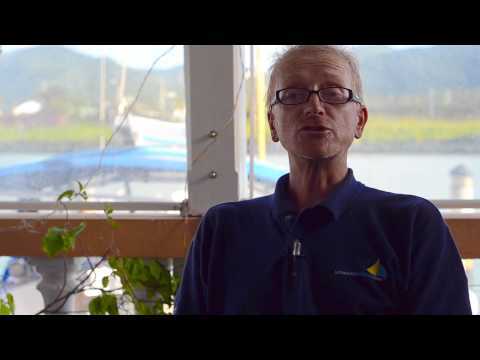 All RYA course notes and certification. Yacht charter for the 2 days of examination. Each student is examined for 8 – 12 hours during this period. Two alternative yachts for experience of different manufacturer’s designs and sailing performance. Examination fees for SRC and Yachtmaster exams as these are paid direct to the RYA through the examiner. Any meals or travel ashore. 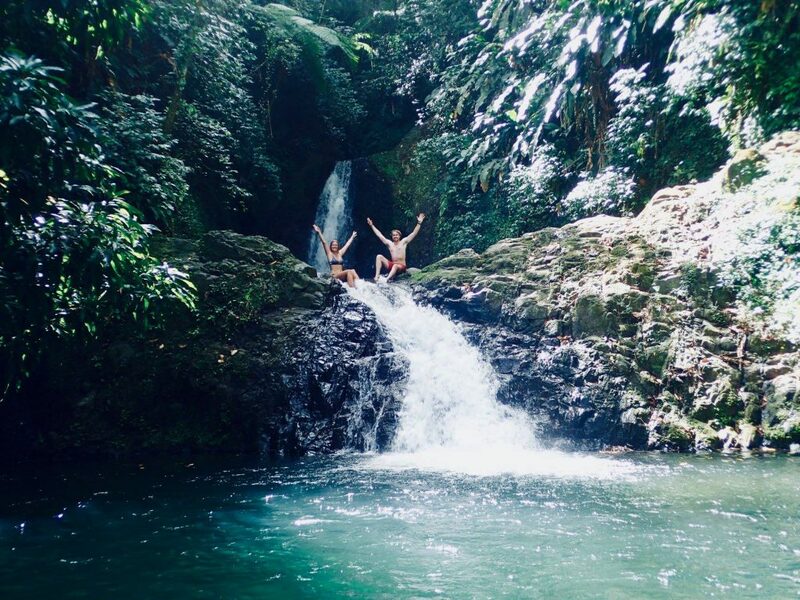 Island Tour or Expedition expenses. Fuel for the pool car. You will find the book “The Seaman’s Guide to the Rules of the Road”, and James Stevens’ “Yachtmaster Handbook” extremely beneficial. Please visit Bookharbour for these publications. Should you be considering another school for your training please be sure to check the following equipment is on their yachts. 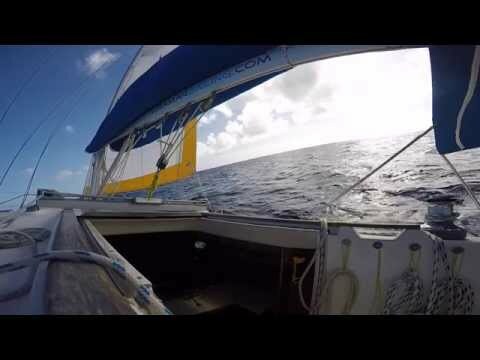 Cockpit bimini – this is essential when sailing all day under the Caribbean sun. Cooking facilities – sounds obvious but without it meals ashore every night become expensive, not to mention the all-important cup of coffee!. Anchor windlass – weighing anchor by hand is hard work and tiring. Dinghy with outboard – apart from swimming it is impossible to get ashore when at anchor.